1. 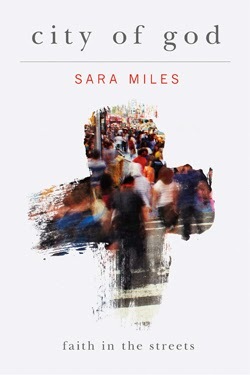 The first book that I was really looking forward to reading this year was Sara Miles' City of God, released at the beginning of the month. Her Take This Bread continues to influence me in various ways, so I greatly anticipated this latest offering. Loosely speaking, this is her account of Ash Wednesday 2012, where she and other Episcopalian colleagues interact with a neighborhood in the middle of San Francisco, distributing ashes. I say loosely, because the larger narrative is Miles' love of the neighborhood: her service and her prayers are intensely personal and genuine for this place because she really knows the people and the rhythms here. This serves as a cornerstone for her musings about what ministry in this or any neighborhood is like. The entire book is based on her ability to see God among the strange, quirky, and unconventional inhabitants of her city, and to point out how the divine is already among them. Would that anyone else engaging in ministry in other places began with that notion, too. 2. Coffeeson and I went to see The LEGO Movie the other week. Chris Pratt voices Emmet Brickowoski, an ordinary construction worker in a LEGO world governed/ruled by President Business (Will Ferrell). President Business places high value on uniformity, and accomplishes this by lulling the citizenry into blissful ignorance through popular media and overpriced coffee, maintained by strong encouragement to follow pre-issued instruction manuals (which recall the booklets that come with LEGO sets). Emmet eventually discovers the Master Builders--consisting of many familiar playset figures--who want people to have creative freedom and who want to thwart President Business' secret evil plans to establish permanent sameness. There is some overarching commentary on how society placates itself through consumerism, which could also be taken simply as encouragement to be creative and original, and a celebration of how these toys--for generations now--have allowed people to do just that. 3. On a whim, I clicked on some banner advertising a new album by a band called Young the Giant. The album, Mind Over Matter, took a few songs before I found myself just naturally getting into it. Their sound is a bit eclectic, incorporating elements of rock, pop, and a little electronic. So I decided to give their previous self-titled album a chance as well, which has less of the polish and I actually liked better. I'd suggest to anyone wanting to give them a try to listen to their first album before their last. 4. 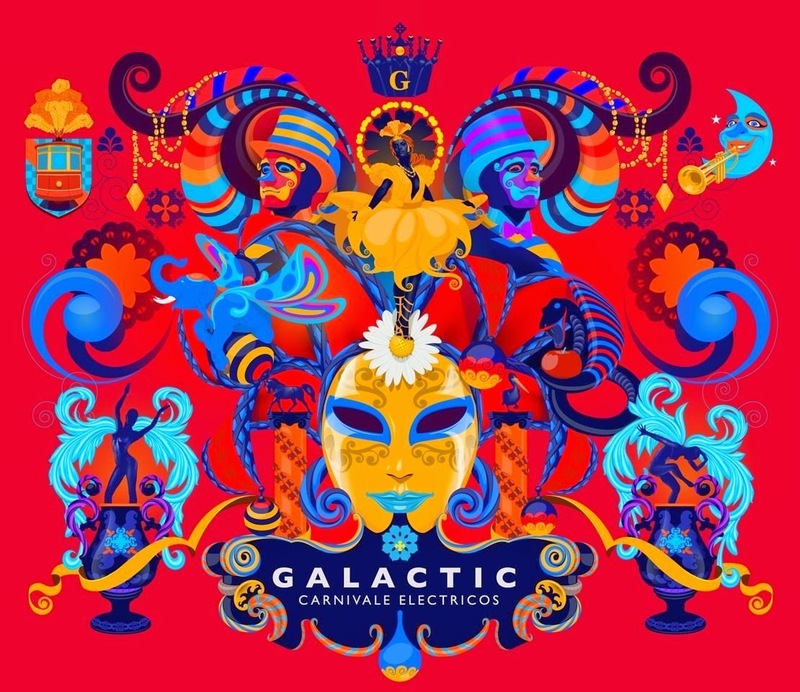 Galactic is on my shortlist of artists where I make it a point to check out every new offering of theirs. Unfortunately, I somehow missed that they released Carnivale Electricos back in 2012. On this album, they continued on in the New Orleans sound that they've exhibited on their last few offerings, this time with a much more upbeat, party-atmosphere sort of sound as if they want to provide a soundtrack for Mardi Gras. It has a lot of energy, and I'm sorry I didn't find it sooner. 5. A couple years ago, I heard "Bright Lights" by Gary Clark, Jr. on the radio. I remember thinking to myself that I should check out more of his stuff, as I was really captured by the stomp-rock sound he was putting forth on that song. Well, I sort of forgot to follow up on that. Lately, Clark has been showing up on some big stages like the Grammys and the halftime show for the NBA All Star Game, and thus I took this as my opportunity to finally get acquainted with his music. It didn't take long for his album Blak and Blu to hook me. At times it's that stomp rock a la The Black Keys, but elsewhere he's using more of an R&B sound. The guitar work on "When My Train Pulls In" just completely floored me. This is another fantastic album that I wish I'd heard before now. 7. And finally, we have pop-punk band Against Me!, which I heard about on music podcast Sound Opinions. Their newest album is Transgender Dysphoria Blues, so named because the lead singer recently went through a gender reassignment process. This album is largely about that process; often conveying her feelings related to the experience and how society views the trans* community. This is an incredibly powerful album, very high energy and passionate and musically sound. I have to say that my Year-End Roundup this year may have to be jumbo-sized. I've heard so much incredible music already in 2014, and we're only two months in.